Escape from the world in this custom home w/a private courtyard, soaring ceilings, Tuscan-textured walls & rich wood flooring. Elegant living room w/17-foot ceiling, floor-to-ceiling fireplace & refinished hardwoods. Chefs kitchen w/ upgraded cabinetry, slab granite, stacked-stone backsplash, entertaining island & top-grade appliances. Casual dining w/large windows overlooking the backyard oasis. Opulent master w/crown moulding, sitting area & luxurious 5-piece bath. Down the hall, find a secluded bedroom, ideal as a study, w/wood coffered ceiling, en suite bath & access to the courtyard. Basement w/rec room, bar & 2 beds, adjoined by a J&J bath. Entertain in style, w/a handsome courtyard in the front & lush, private backyard w/ large covered patio, border of towering trees & immaculate gardens! 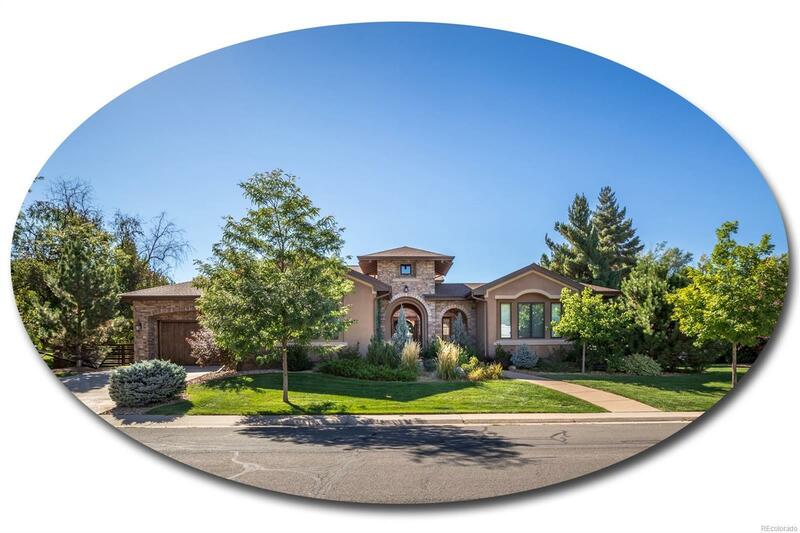 While this property feels like a secluded escape, it is ideally located next to High Line Canal Trail, Cherry Hills Marketplace & easy access to I-25 & DTC!